From bank robbers to cops to victims to observers, Crime: The Animated Series, explores how crime affects us all. 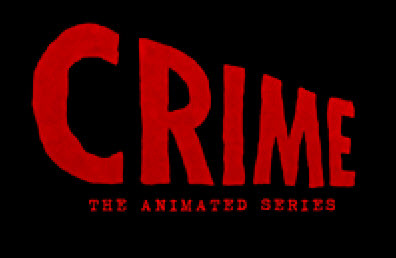 Created by Alix Lambert and Sam Chou, CRIME:TAS is dark, compelling, heartbreaking, always intimate, and yes -- sometimes even funny. These five short films are very fascinating. It will make you think. Marcus McGhee, a school teacher in Hartford Connecticut, tells the story of when his car was stolen and the police did not help him. the animation is a combination of hand-drawn, pencil on paper, paint and digital paint and composite. BET journalist, Samson Styles, talks about being a stick-up kid and what happened to him one Fourth of July. The animation medium was a combination of hand-drawn, pencil on paper, paint and digital paint and composite.